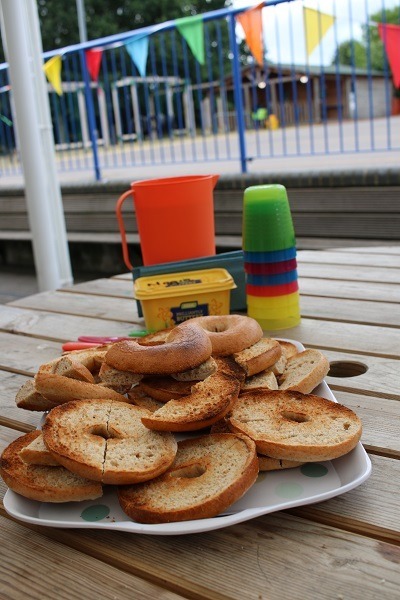 Our National School Breakfast Programme Hits 1775 Target! We are delighted to say that the National School Breakfast Programme (NSBP) has reached the recruitment target of 1,775 schools set by the Department for Education. This means that by the beginning of the Summer Term over 250,000 more schoolchildren will be starting lessons with a healthy breakfast inside them, settled and ready to learn. The news comes exactly a year after it was announced that Family Action and Magic Breakfast had won the DfE’s contract to set up or improve breakfast provision in schools in disadvantaged areas of England where pupils were arriving too hungry to learn. A healthy breakfast can provide children with the energy and nutrients they need to thrive; increasing alertness and improving behaviour. Research funded by the Education Endowment Foundation and carried out by the Institute for Fiscal Studies found that Y2 pupils in schools providing a free, nutritious breakfast boosted their reading, writing and maths by an average of 2 months’ progress per year, compared to pupils in schools with no such breakfast provision. One school benefitting from the programme is Arlies Primary School in Stalybridge where staff say they’re honoured to have been chosen to work with the NSBP. We at the NSBP have been excited to see how enthusiastic schools have been about launching their NSBP breakfast provision and experiencing the positive impact brought about by having classrooms of children with full stomachs and focused minds. The school that… was our breakfast programme’s first special school. Why Dental Health Matters – The Tooth, and Nothing but the Tooth!